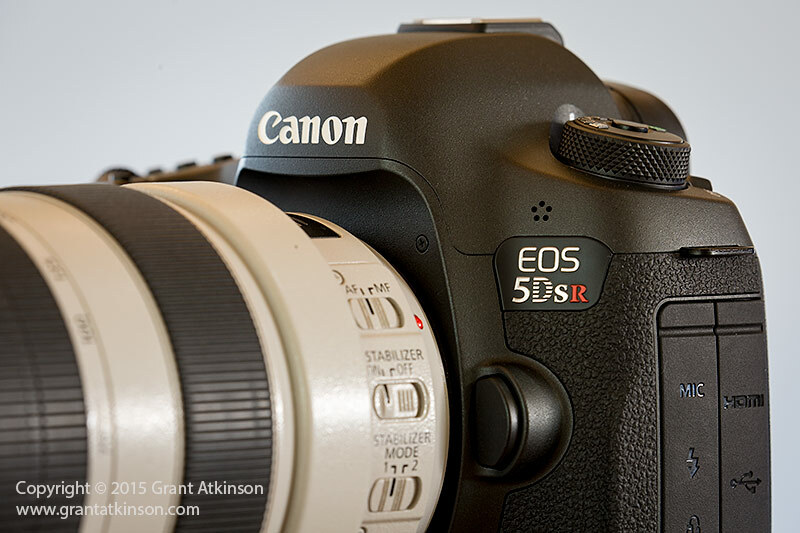 Canon’s 5DSR and 5DS are at the time of writing, the highest resolution dslr bodies on the market. With their 50 megapixel sensors, they are the best choice in the Canon camera line-up if very large print sizes are a priority. Although Canon’s marketing for these two cameras has been somewhat targeted at studio and commercial photographers, the camera’s themselves are very capable of delivering spectacular images for other users too. The 5DS and 5DSR bodies are equipped with great autofocus, and good handling. They also have a continuous shooting rate of 5 frames per second, at full resolution of 50 megapixels. With such big files, it follows that the camera and its storage media are handling a lot of data. This is a non-issue if you are shooting one image at a time. On the other hand, if you are doing any kind of continuous shooting, there are a number of things you may want to do, to maximize buffer performance and card recording in the camera. Working in the way that I describe below, I have been able to minimize the chance of the buffer affecting my shooting in the field. Perhaps the most important thing you can do to maximize continuous shooting performance, is to use fast cards. 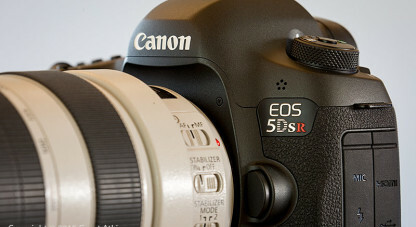 The 5DSR has two drive slots, one for CF and one for SD. In the Canon 5Dmk3, there is a very marked difference in the speed of these actual drives, regardless of what cards you use. For that reason, I only use the CF drive on that camera (5Dmk3). With the 5DSR, the SD drive is much improved and pretty close to the CF drive in performance. In the 5DSR, with a 160mb/sec Sandisk CF card in the CF drive, the camera took 17 shots in a burst before slowing down, with the camera becoming fully operational after 3 seconds. In comparison, with a 95mb/sec Sandisk SD card in the camera, it managed 16 frames in a continuous burst, and took around 4 seconds to be fully operational again. Changing to a 90 mb/sec Sandisk CF card, the continuous burst dropped to 15 before the camera hesitated then took two more frames. Full responsiveness returned only after around 5 seconds. So there is a significant advantage to using the fastest available cards, whether they be CF or SD. The 160mb/sec cards give the most images in a continuous burst, and cleared the fastest, in camera. I used only Sandisk cards in my testing as I was concerned only with comparing card speeds as well as the two differing card types. SD and CF. It is my understanding that the CF drive in the 5DSR can write at 167 mb/sec so it may be that any faster CF cards might still improve on the best numbers I got using the current 160mb/sec cards. File sizes were 68 megabytes approximately for this test. Newer and faster SD cards might still offer a further increase in the total number of shots possible. It is worth noting that file sizes of a 5DSR image (or any Canon CR2 image) will differ depending on how bright or dark the image is, how complex the image is in terms of tones and structure, and how high the iso setting is. My own real-world, wildlife image files from the 5DSR range from 52 megabytes at the smallest, to 73 megabytes for the biggest. It follows that if you are shooting a frame that gives you a bigger file size, buffer capacity and performance will be lower. 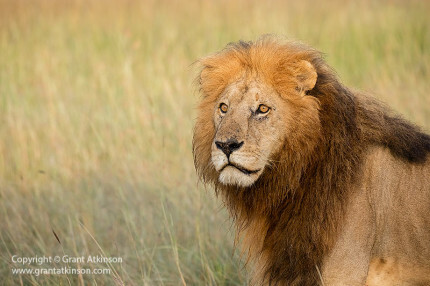 Checking the two images posted above illustrate the different file sizes, the lion raw file was just over 70 megabytes, whilst the elephant file was only 54 megabytes. If you wish to have your 5DSR achieve the maximum number of images for continuous shooting, it is worthwhile choosing your image quality settings with some thought. For myself, this is easy, in that I set the camera to shoot RAW only. 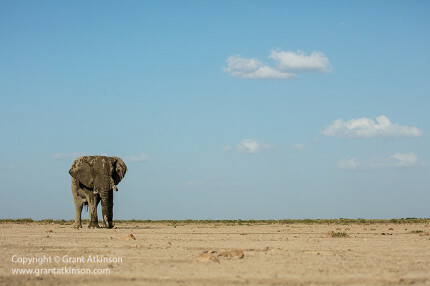 For my own shooting style, it is most important that I try to capture whatever wildlife activity might happen, at the time it happens, without any slowdowns whilst action is happening. I feel that I have time later, to download the raw images and convert as many jpgs as I need. If you prefer shooting jpg images only, the smaller files are much less taxing on the buffer and cards anyhow. Shooting any combination of RAW plus jpg image simoultaneously, really slows things down and will usually limit the cameras effectiveness for any kind of prolonged burst shooting. So, if you are shooting RAW images, then there are further buffer and continuous shooting benefits to be had by limiting the in-camera processing that takes place when you take an image. 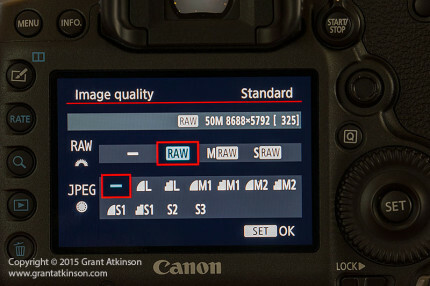 The thing is, even if you are shooting RAW only, there are several processes that run during the creation of the small jpg image that appears on your camera rear lcd when you take a shot. I switch all five of these processes off in my camera, which in turn takes a little load off of the cameras processing and speeds. 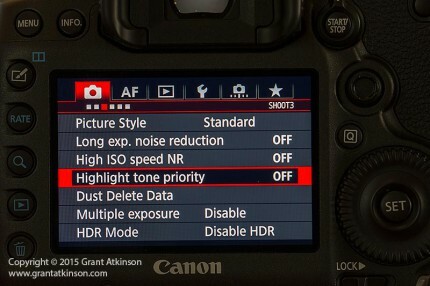 All these processing menu options are located in the Red Camera menu tab. 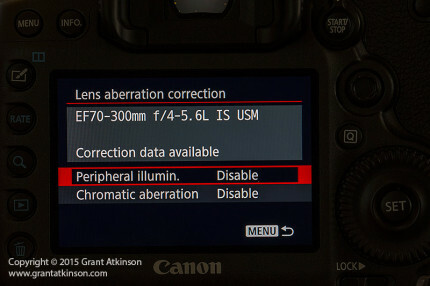 I select Lens aberration correction and Disable both options. Peripheral illumination brightens the edge of the image, also known by the term vignetting. Chromatic aberration correction gets rid of colour fringes usually seen in high-contrast edges in part of an image. I prefer to carry out these steps myself, in processing on my computer, so I choose the Disable option for both. 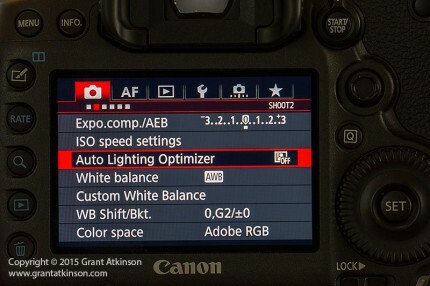 Auto Lighting Optimizer is found in the Red Camera menu, on the second tab. It is basically a kind of shadow-lifting process that is applied in-camera. I prefer to turn it Off, and to carry out that work myself on my computer screen. 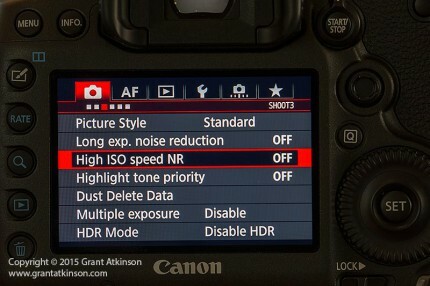 In the third tab of the Red Camera menu, are found still more processes that use up camera memory and can hinder buffer and card writing speed negatively. I begin with Long Exposure Noise Reduction and turn it Off. If I need to, I will switch it on again for night time shooting. Turning High ISO Speed Noise Reduction to OFF is next. I prefer to apply noise reduction in processing on my computer, where I can be more selective with where I apply it, and how strongly. The last processing step to turn off, is Highlight Tone Priority. This process recovers overly bright parts of an image, which is again something I might prefer to do myself on my computer. If you have these processing steps switched on, and you are shooting RAW only, these processes still ‘run’ for the image that appears on the rear screen. The RAW image is also tagged with the information detailing the processing steps, and if you download and open them using Canon’s Digital Photo Professional software, it is possible to have the program (DPP) pick up those processing steps and apply them to the RAW images within DPP. 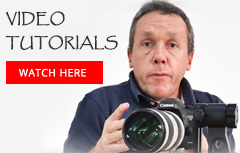 That is one reason to leave them on if it helps your workflow and you are using Canon’s DPP. Even on those occasions when I am using Canon’s Digital Photo Professional software for processing, my preference is still to carry out those processing steps on my computer, rather than in camera. 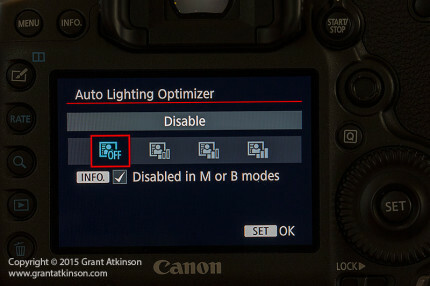 If I am processing my RAW images using Adobe Camera Raw or Lightroom CC, then I know that those programs ignore all the tags that might accompany Canon raw files anyway, so there is no disadvantage whatsoever to switching the processing steps off for me, just a gain in how quickly the camera clears images from the buffer, and in overall processing speed. 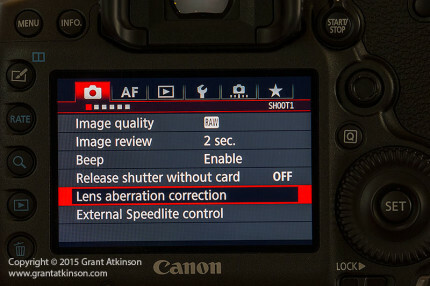 This text is written specifically for the Canon 5DSR (and it is all relevant to the near-identical 5DS), but almost all the menu options are similarly effective in maximizing performance in the Canon 5Dmk3 and the 7Dmk2, as well as other recent Canon dslrs. Great info as usual Grant. Looking forward to the full review! How is the ISO noise handling capacity in the 5DS/R? My friend wants to buy one and does stage photos. Her 7D MK 11 is very noisy at 6400? I would say that the high iso noise performance of the 5DSR is similar if you are using all 50 megapixels, to the 5Dmk3, therefore about 1 full stop maybe a bit more, cleaner than the 7D mk ii in that kind of comparison. Key is not to crop the 5DSR image too much. Unfortunately I cannot say i have used it for night shooting yet. In low ambient light, the kind you get after sunset with wildlife and before sunrise, provided you make use of all the pixels, in other words if i dont crop more than 10 or 20 percent, I can happily print images at iso 3200, and even at iso 6400 with a little noise reduction. Pretty similar output to a 5Dmk3 at high iso, especially if you equalize the viewing size or print size. I understand that these camera’s are not being built for us (sports and wildlife), that being said you keep on referencing that at higher ISO is not wise to crop heavily. how does it compare with a regular 5Dmk3 at ISO 3200 and the SR cropped to have the same file size as the mk3? Because I sort of don’t see the point of a 50MP camera, my 6D (20MP) can print a A0 perfectly crisp and clear … So only reason I would get a 50MP camera is to be able to crop, but if I crop to a similar size as my 6D but the image quality goes horrid … then I would be wasting money? or am I completely missing the point here? These are good points that you raise, and they can be somewhat difficult to try to describe, when one is not actually looking at or working with images from the different cameras to hand on a computer screen. I would say that there are a number of reasons for a 50mp campera for us as wildlife shooters. One would be that the quality of the print, using 50mp at A0 would be a little bit superior, and more detailed, than that from a 20mp 6D or 22mp 5Dmk3. Whether or not you might feel the need for higher quality prints would be your choice, but there are folk who like the highest possible resolution for print. Another reason might be cropping. If you have a properly sharp image from the 5DSR, and you crop away half of it, you can still have a 20-25mp print, close to the equal of the 6D print output. But, if you combine deep cropping, 40 percent or more, with high iso in the 5DSR, then the resultant image quality will suffer. So I am happy to crop images from the 5DSR quite heavily, right up until there may only be 10 megapixels left, but the higher the iso, the less i want to crop. At iso settings up to 40 or 800, the image quality can take heavy cropping, but from iso 1600 to iso 6400, I want to crop less and less. But the beauty of the 50mp sensor is that it gives you these options. With regard to your question of comparing the output of the 5DSR to the 5Dmk3, at iso 3200, if one cropped the 5DSR file to 22mp, you would end up with a much larger subject in the 22mp file from the 5DSR, with a bit more noise visible, than the native output from the 5Dmk3. But that would not be a fair comparison, as if you crop the 5DSR to 22mp, then you are only using less than half it’s sensor surface for your image. A different way to compare these sensors is to use Photoshop or LR to take a 50mp file from the 5DSR and to resize it (downsize) to 22mp, and when you do that, the 5DSR image is equal to the 5Dmk3 in noise or even slightly cleaner to my eye. So the 50mp sensor gives you more options. Because the actual 35mm sensor of the 5Dmk3 is exactly the same size as the 35mm sensor in the 5DSR, and one sensor has 22 mp whilst the other has 50mp, it follows that the actual pixels or photosites on the 5Dmk3 are twice as large (even a bit more) than those of the 5DSR. And if you compare the noise levels and image quality of the two sensors, one pixel to the other’s one pixel, the larger pixel of the 5Dmk3 looks a little cleaner and better contrast. However it is not twice as good. So, at a 1:1 view, the 5Dmk3 pixels look better, but then one is not comparing the images at the same output size. To compare them on a more equal, simulated print size one would need to view the 5Dmk3 images at 200 percent and the 5DSR at 100 percent. That way you would be comparing equivalent print sizes. In my own experience, the high res file definitely gives more options, but it comes with a few drawbacks. The high resolution cameras are slower and less responsive than those with smaller file sizes. The other drawback is that when I am shooting really fast action, I find it much, much harder to get pixel level sharp images with cameras with small pixels like the 7D2, or 5DSR. I found using the 5DS with the Canon EF100-400 f4.5-5.6L MK1 recently at Pilanesberg Game Reserve at anything up to 800 iso to be fine cropping down to a size similar for the 1.6 crop. I did have noise past this point but even then managed to pull shots of a leopard (unfortunately even at 400mm he was only centre of frame) just before it was completely dark. 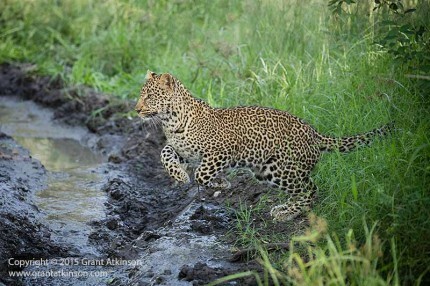 The camera can be used for wildlife but I play safe and double the recommended shutter speed even using IS lenses. On a tripod & for landscape this camera provides really clean images that I print at A3 at home with a level of details Ive not had in a DSLR before. All that said my 6D still has its place particularly in low light and for the GPS & Wi-Fi. Thanks for your input here. I am also of the opinion that the 5DSR can be used for a general purpose wildlife camera, but with the proviso that really fast action is not its strong point. I have found that the camera compares very well to my 5Dmk3 bodies so long as I am able to avoid cropping away too much of the frame, even up to iso 3200. So I found that the more of the sensor that I used when shooting the 5DSR, the better the image quality. The sensor output has surprized me in a good way. If i crop images from the 5DSR until they match the 7Dmk2 subject size, I feel that the 5DSR images are sharper and a little bit cleaner, say half a stop. i hear what you are saying regarding twice the focal length, for myself, i typically try work at around 1/800sec minimum for anything moving, and then faster speeds as subject speed goes up. I like to shoot jogging/trotting wildlife at 1/1600sec and then fast action at about 1/2500sec or even a bit faster Of course, having a lens with a bigger aperture, and having good ambient light helps with managing such fast speeds.